The Denman D3 Strawberry Scented Styling Brush has been scented with the juicy fragrance of strawberries to form part of the Tutti Frutti collection. 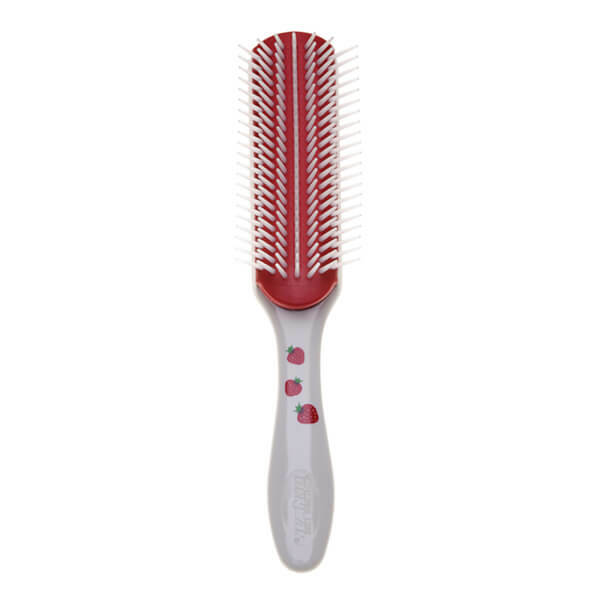 Suitable for smoothing dry hair or defining wet curls during a blow-dry, the brush effortlessly removes knots and tangles to leave locks looking sleek and controlled. Designed with seven rows of sculpted, round-ended nylon pins which gently separate, shape hair and define curls when hair is wet. 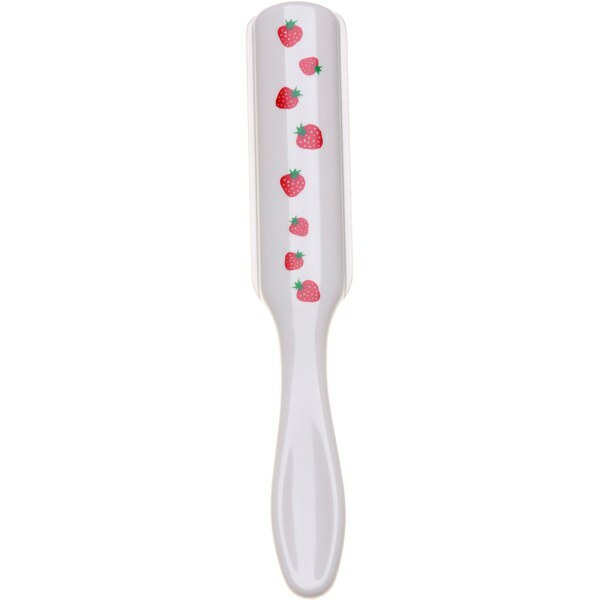 The unique pin pattern creates the perfect tension when shaping the hair during blow-drying. Completely versatile, the brush can be used to control your style, detangle wet and dry hair, or sculpt and style during blow-drying. The fragrance is encapsulated within the pad so you can benefit from its scent without it transferring to your hair. Gloss finish.